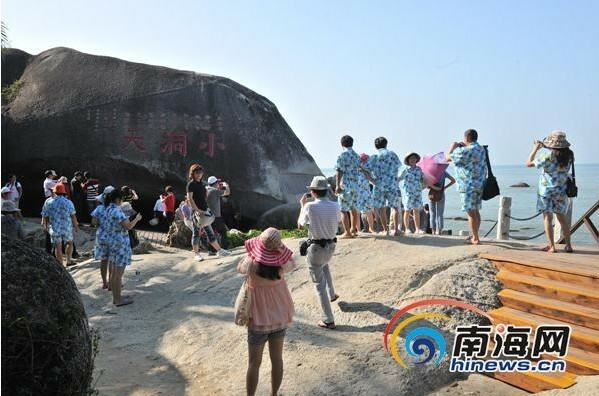 The number of overnight tourists to Sanya exceeded 10 million in 2011, a record in Sanya’s tourism sector, according to the Sanya Tourism Committee. Sanya’s tourism industry has seen a rapid growth in 2011 thanks to the strategy of constructing Hainan into an international tourism island, reports hinews.cn. The total tourism revenue reached 15.7 billion yuan in 2011, taking a giant leap by an impressive 240% compared to 6.54 billion yuan in 2006. Since the Hainan Offshore Duty-free Policy took effect on 20th April, 2011, the Sanya Duty-free Store has become one of the most popular tourist destinations in Sanya. Till now, the number of visitors to the store has exceeded 2.8 million and the total number of transactions exceeds 900,000. In addition, Sanya continued to expand the overseas tourist market in 2011 with the number of overseas tourists to Sanya exceeding 500,000 in 2011, recovering to the same level in 2007. The passenger throughput of Sanya Phoenix International Airport hit 10.36 million passengers in 2011.